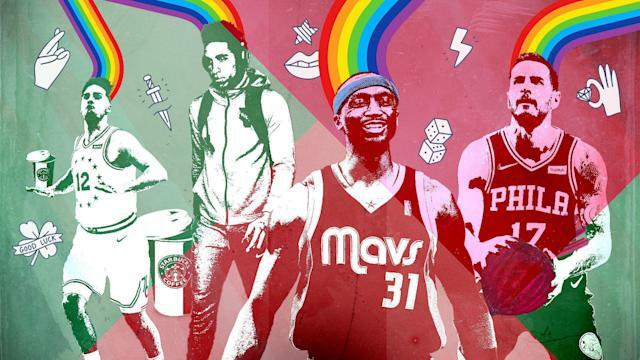 In his 19-year NBA career, Jason Terry won a championship with the Dallas Mavericks, was named Sixth Man of the Year and finished with the fifth-most 3-pointers made in league history. He also wore game shorts from the opposing team the night before every single game. The routine started in college. Terry would wear his own game shorts to sleep the night before each game. He believed it helped him prepare to succeed on the court. A national championship confirmed those suspicions. When Terry got to the NBA, he took it to another level, making friends with equipment managers around the league and asking them for game-worn shorts from his opponents. The collection would come to include shorts from Gary Payton and John Stockton (“They were tight,” Terry said. “But it felt good when I had them on.”). He would wear them the night before his game days. If that wasn’t enough, he also believed his signature headband and high socks look gave him superpowers on the basketball court. “I cannot play a game without them,” Terry said. In his 129 games in college and 1,466 games as an NBA player, Terry rarely went a game without his favourite game-day accessories. Without them, things always seemed to go sideways. One time in college, the Arizona Wildcats equipment manager forgot to pack Terry’s high socks. “I didn’t score any points that day,” he said. Then, when he got to the NBA, one of the coaches with the Atlanta Hawks asked him to get rid of the headband. Terry obliged, and then went out and had a scoreless night. “I automatically went back to wearing it,” he said. So, does Terry really think his career would have played out differently if he wasn’t allowed to put his headband back on? NBA players are creatures of habit. Throughout a season, they will follow (or try their best to follow) a strict day-to-day routine. This means taking a pre-game nap at the same time and having the same warm-up on the court before every game, among many other things. There’s a rhyme and reason to most of the routines. Other times, a player simply wants to believe that wearing a headband is the reason why they were able to have a long and fruitful NBA career. J.J. Redick of the Philadelphia 76ers was called “the most meticulous player” in the league in a 2016 New York Times profile. 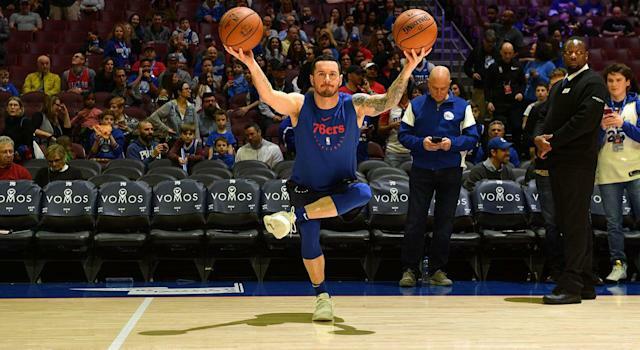 During the offseason, Redick will train for six days a week and then put up 342 shots on Sunday — an exact number he’s come up with based on the number of shots he wants to take from each individual spot on the floor. Redick is open to incorporating anything into his routine that can give him an edge over other players, which is why he eats a self-described “ridiculously unhealthy amount of beets.” The routine started after Redick joined the Clippers in 2013. On game days, he would drive from his Manhattan Beach home to Staples Center and always make the same pit stop: to a Whole Foods in El Segundo where he would pick up a box of beets. Beet salad. Beet juice. Redick started having beets in everything. “I would just go to town,” he said. 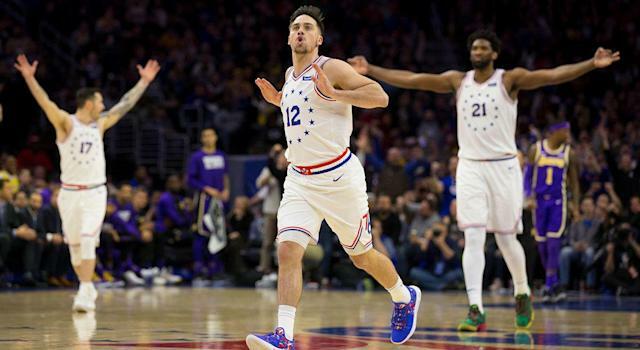 In Los Angeles, Redick transformed into one of the best 3-point shooters in the league, and so the beets have remained a part of his daily routine. Today, after shootaround at the Sixers’ practice facility in Camden, New Jersey, Redick will go to the salad bar and make one request to the team chef. “I ask them to put an unhealthy amount of beets in my salad,” Redick said. According to Anna Abraham, a registered psychotherapist in Ottawa, Redick’s beets consumption and Terry’s insistence on wearing a game-day headband illustrate a larger point about why players embrace routines so easily. Players’ routines extend beyond just their physical preparation. The mental part of the game is part of creating an environment a player can control. Players find different ways to relax. Klay Thompson has been known to read the newspaper prior to games. Victor Oladipo likes to keep a journal. Brogdon, now in his third season, has simplified his game-day routine. Before each game, he will create a quiet space for himself in the locker room and use the Headspace app to get in his own zone. Even the most detailed routines have their exceptions. Brogdon will stay quiet before games, unless someone decides to play J. Cole in the Bucks locker room. “Then I have to sing along a little bit,” he said. Like Terry and Redick, Brogdon has figured out a routine that gives him a sense of control. It has also given him a perspective and appreciation for the importance of the mental side of preparation. Picking up routines is just one part of it. Letting them go can be important, too. Redick’s teammate T.J. McConnell has his own strict game-day routine. He has drank a cup of coffee before every game since his senior year in college. He hasn’t changed his pre-game meal—chicken and quinoa with a bottle of Essential Water—since his rookie season in the NBA. He also used to call his wife right after finishing film session before every game. The routine started in McConnell’s first season in Philadelphia. The conversations helped calm him and he noticed a difference on the court. Halfway through the season, McConnell’s wife travelled to a different time zone and the routine was interrupted. McConnell continued to play well even without the pre-game phone calls. “I was like, maybe I have to stop being so superstitious,” he said, and learned to start breaking some of the routines that didn’t matter. Since retiring from basketball, Terry has learned to move on from his routines, but only when he’s broadcasting. When he steps back into a basketball gym to coach, Terry will still wear high socks underneath his blazer and slacks. Old habits really do die hard. It doesn’t matter if you’re LeBron James playing 40 minutes and carrying your team every night, or Udonis Haslem, a player in the twilight of his career who rarely gets off the bench, you have to go through the same game-day preparation. For players that fall into the latter category, routines can start to feel like a chore after awhile. Jason Smith has played for six teams in his NBA career. He started this season in Washington, was traded to Milwaukee early on, and then ended up in New Orleans at the trade deadline, where he was subsequently waived. He appeared in 20 games total. But like Redick, Brogdon and everyone else in the league, Smith has to prepare just the same. Being a benchwarmer doesn’t exempt you from the day-to-day routine. “It gets mentally gruelling,” Smith admits. According to Abraham, routines are more effective if players see the value in them. “If you can find intrinsic value in doing something you will probably go further and enjoy it more," she said. Even for players who are on the court regularly, all of the preparation might never pay off in a game, but when it does it can swing an entire season. As part of his routine, Ray Allen used to lay down in the middle of the free throw line, then jump back up and simulate an in-game scenario of back-pedaling and shooting a corner 3 without stepping out of bounds. In the final seconds of Game 6 of the 2013 NBA Finals, Allen made that exact shot in the corner to force overtime and rescue Miami’s season, which ended in a championship. Preferably while wearing a headband and high socks.